Do utility prepay program names matter? What utilities call their prepaid electric program sets the tone for both how the service is positioned and how customers perceive it. But is this aspect of launching a prepay program getting the mind-share it deserves? We look at the current naming trends among prepay programs in the United States and explore how utilities can help emphasise the value proposition through benefits-focused branding. 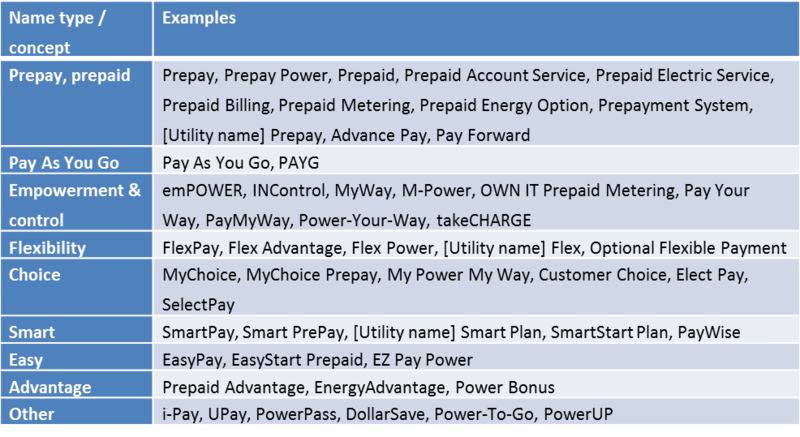 Our research found that around half of the 220 prepay programs we analysed had ‘plain vanilla’ names reflecting only the payment mode – such as Prepay, Prepay Power, Prepaid Electric Service, Prepaid Metering, Advance Pay, or other similar variants (see table). Vanilla labels have the advantage of clearly signposting to customers that instead of receiving a monthly bill, they will pay upfront for their power. Customers can immediately envision how the service will work based on their experience of using other prepaid services. The main drawback of these types of names is that they give no hint of why a prepayment plan might benefit the customer. Pay As You Go (PAYG) is a ‘vanilla plus’ moniker that it is starting to become more popular, not just in the US but also in the UK, where the term is widely used for the new smart meter based prepayment plans. In our US sample, PAYG accounted for around 15% of program names. Compared with the plain vanilla variants, PAYG not only resonates well with other already popular prepaid services such as mobile telephony, but at the same time conveys the notion of aligning spend with consumption – a key customer benefit. The phrase also gets away from any negative connotations or stigma that customers may associate with the term ‘prepayment’, including the common perception that it’s a payment type just for those who can’t afford their bills. While vanilla and vanilla-plus names are by far the most prevalent among US prepaid electric programs, they are not the only choices. Some utilities are instead opting for more creative program names that emphasise the potential benefits of the service for customers. This group of names leverages concepts such as empowerment and control (around 8% of program names in our sample), flexibility to pay on one’s own terms (8%), giving people a choice (4%), providing a smart option (4%) or an advantage (2%), or making payment easy (2%). 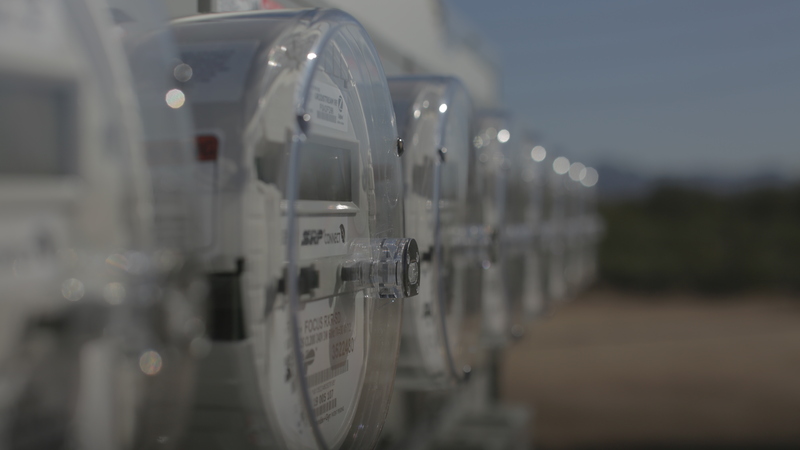 A well-known example in this category is M-Power from Salt River Project, which with around 150,000 customers is the largest prepay program in the US. Another program named with customer empowerment in mind is takeCHARGE from Tombigbee Electric Cooperative. Meanwhile, names such as FlexPay help convey the idea that customers can make payments on their own schedule, rather than being tied to their utility’s monthly billing cycle. Many US utilities are using marketing straplines to add more flavour about the benefits than are conveyed by the program name alone – for example, Advance Pay (“Freedom from monthly payments”), EasyPay (“The energy solution YOU control”), FlexPay (“Real options for your way of life”), Pay Forward (“Putting the power in your hands”), Power Pass (“Your Money. Your Usage. Your Plan”), PrePaid Advantage (“Pay your bill on your schedule, not ours”), SmartPay (“Putting the power in YOUR hands”). This approach can give utilities the best of both worlds: a simple and easily understood program name, combined with a tagline that underscores the benefits. Do prepay program names really matter? Given consumers spend so little time interacting with their utility companies – 9 minutes a year, according to Accenture – we think the more meaning that can be conveyed by a prepaid program name, the better. There is limited data available on what style of names consumers are likely to prefer, and none we’re aware of on how the branding affects the take-up of prepaid electric service. 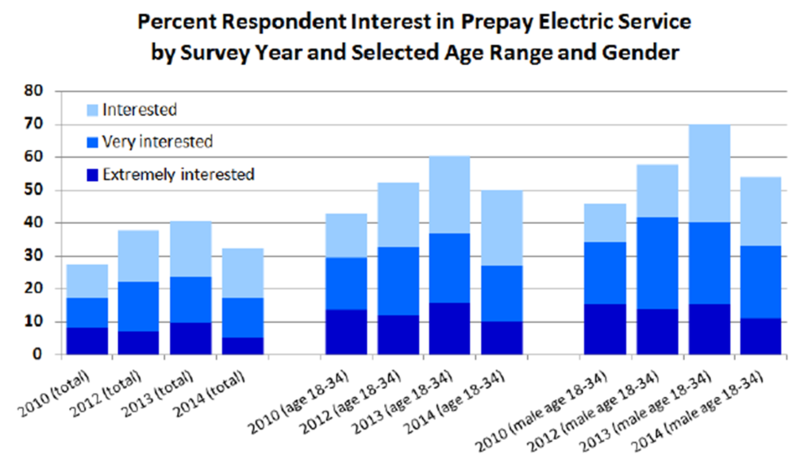 One useful source is the latest prepay consumer survey from the US energy consultancy DEFG, which tested the appeal of a range of hypothetical prepay program names. The most popular choice was Flex Pay (chosen by 20% of respondents), closely followed by Smart Pay (18%). MyWay was considerably less popular than the other alternatives tested (which also included Convenience Pay, Easy Pay and Power Pay). As prepay is still relatively uncommon for utility service in the US, vanilla and vanilla-plus program names have the advantage of providing transparency about how the service works. PAYG packs more meaning than the plainer ‘prepay’, as it refers to the key customer benefit of aligning usage and spend. The terms ‘prepayment’ and ‘prepaid metering’ can have negative connotations in the context of utilities and are best avoided in the branding and marketing of modern, smart meter based prepay programs. Prepayment is not in itself a customer benefit. Instead, having the tools to monitor and control your spend, the flexibility to pay when it suits you, and in many cases save energy, are meaningful benefits that are likely to resonate strongly with customers. Utilities should consider building these concepts into their prepay program name, as well as their broader marketing.